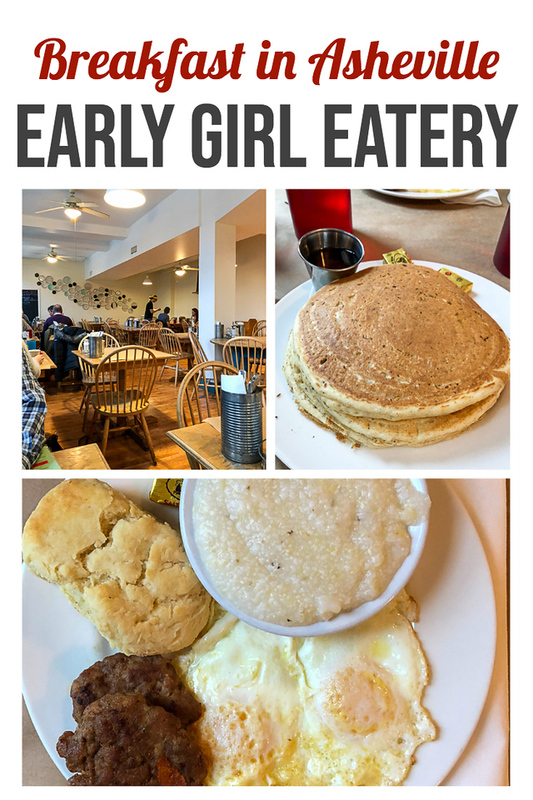 Early Girl Eatery – Eating out in Asheville, North Carolina! 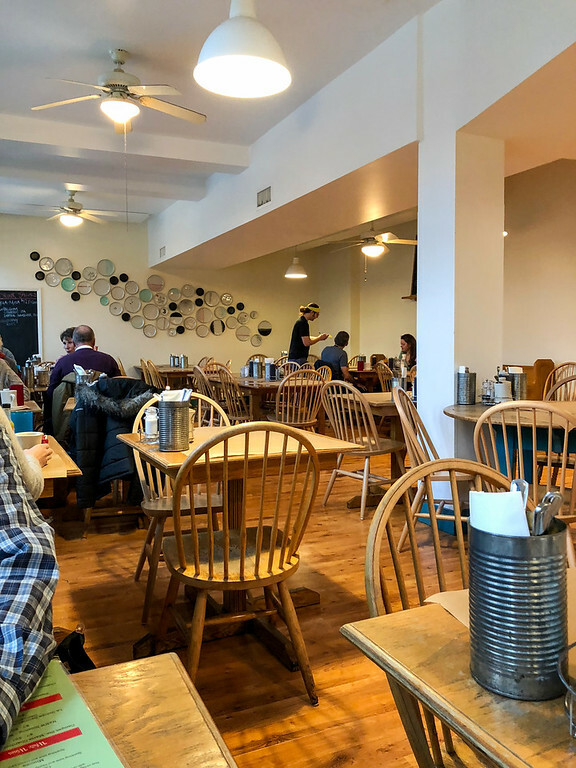 If you are having breakfast in Asheville, then you definitely need to try Early Girl Eatery. We loved everything! 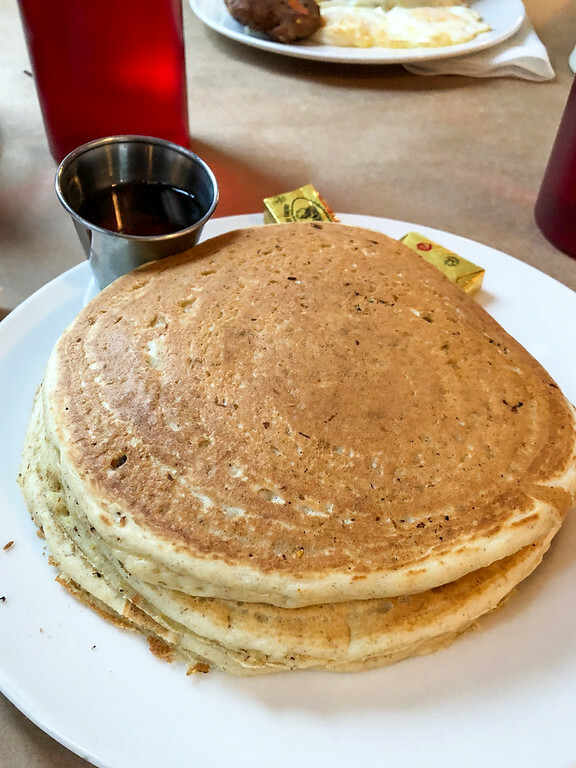 When we asked around about breakfast in Asheville, almost everyone mentioned The Early Girl Eatery as the breakfast place to visit.. We were staying at the Aloft Hotel downtown and the restaurant was just a short walk aways. There are two locations of the restaurant – one downtown on Wall Street and one in West Asheville on Haywood Road. They have been in business since 2001 and pride themselves on their Southern-inspired comfort food. They are a farm to table restaurant and list the famers that they partner with on their website. Early Girl Eatery is in a older downtown building, looks like a store front. It has a quaint classic decor with wooden floors, tables and chairs. There are tables along a row of windows and we were lucky to get one of those. The other tables go around the wall and then there are some in the center of the restaurant. We arrived about 8:30am on a Tuesday. We were seated right away. The tables are covered in paper and napkins and silverware are on your table in an old tin can. We ordered coffee immediately and it was very good! I ordered the multigrain pancakes. Two large pancakes and they were very light and fluffy, not too heavy with grains. I could have used more syrup, it came with one small container of syrup. No worries, though, I spooned some of the Imladris jam that was sitting on the table to finish off my pancakes. Overall, we thought the food was good. Nothing earth-shattering, but then again we both ordered basic breakfast items. When we go back I’m trying the biscuit french toast! It gave us a good start to the day, plenty of energy for our Biltmore visit! I love Early Girl Eatery. It has such a lovely happy vibe and the food is fantastic!! Asheville has so many incredible unique restaurants. Early Girl Eatery is definitely on the list! 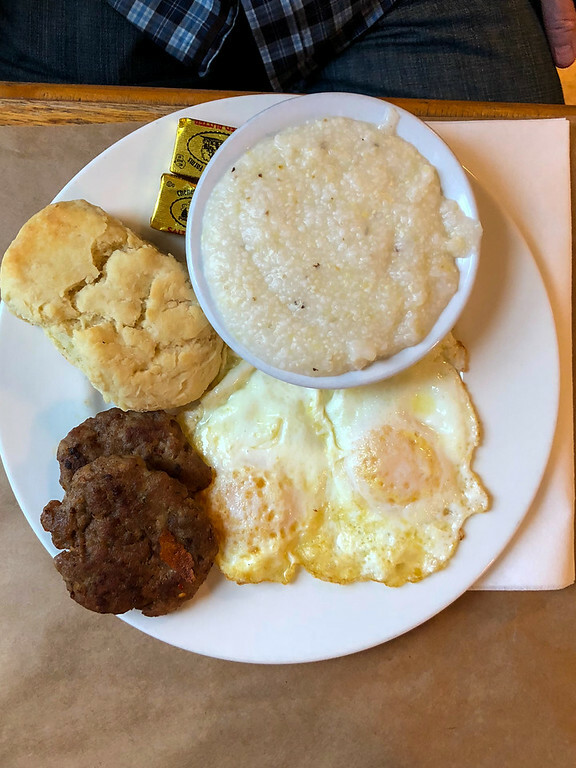 Big southern breakfasts are always a favorite around here!